There is perhaps nothing more representative of the Great Plains of North America than the image of a herd of bison thundering across a vast expanse of grassland. Millions of these massive creatures, known so well for their enormous heads and long shaggy brown coats, historically ranged across the continent from the Appalachians to the Rockies, and from the Gulf Coast to Alaska. By 1889, due in large part to market hunting, numbers were reduced to a just over 1,000. 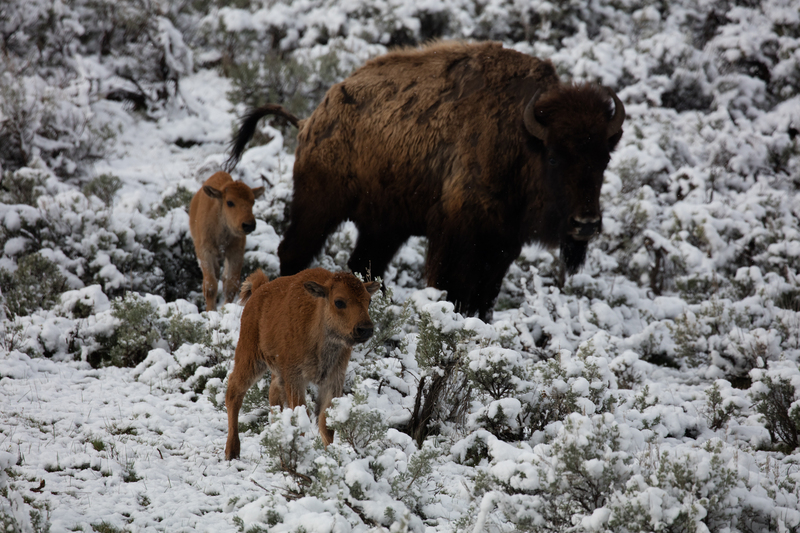 Today bison numbers have rebounded a bit, mostly in places like National Parks and wildlife areas. 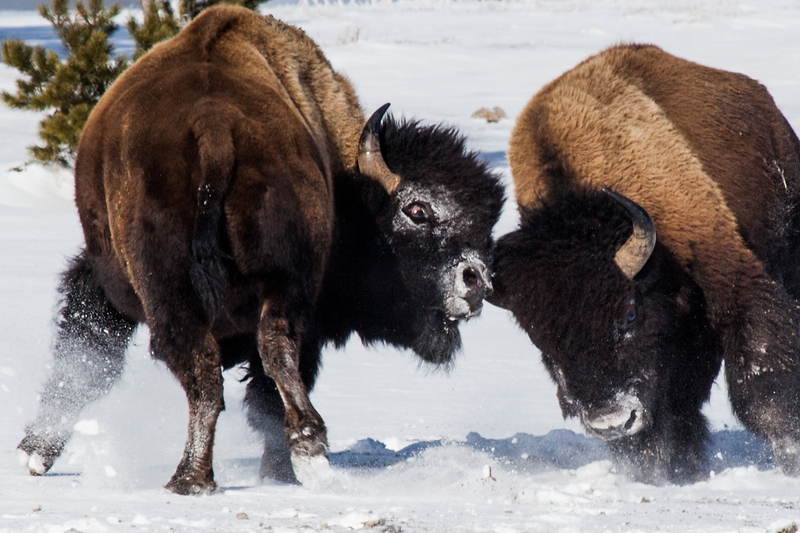 There are estimated to be roughly 500,000 bison living across North America. 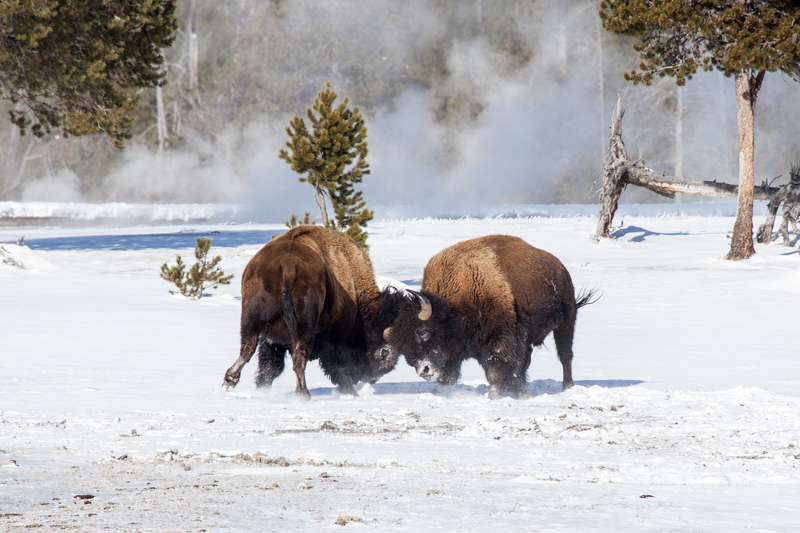 Yellowstone National Park, perhaps best known for its geothermal features like Old Faithful and Mammoth Hot Springs, is one place where the great beasts have always done well. 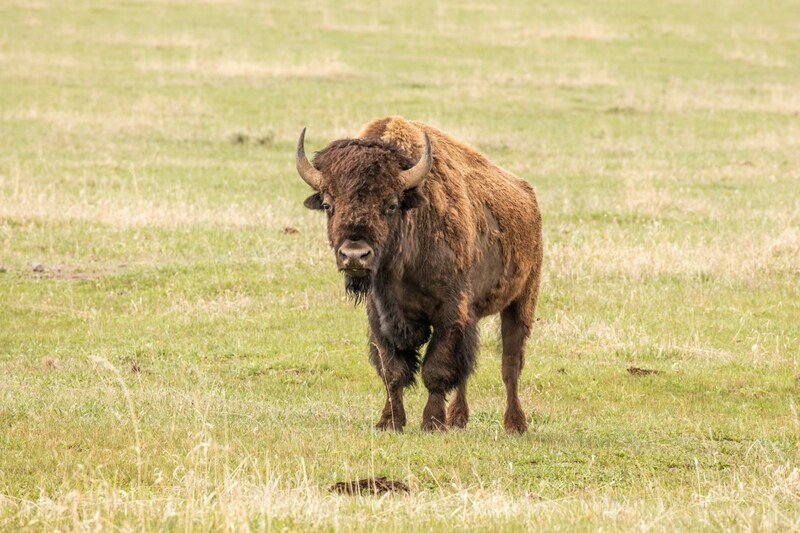 The Park preserves the most important bison herd in the United States because it is the only place where bison have lived continuously since prehistoric times. The herd here, estimated in 2015 to be at 4,900, is the oldest and largest public bison herd in the United States. Believe it or not, Bison are fast. As in 35 mph fast! They’re also relatively agile and strong swimmers. Got a 5 ft high fence? They can leap it! Their vision and hearing are excellent as well as their sense of smell. While Bison can be active at night, they are much more active during the day and at dusk. Females tend to be in charge of the herds, which can fluctuate in size between winter group sizes of about 20, to summer group sizes of around 200 with the maximum herd sizes reaching 1,000 during the rut, or breeding season, which is July and August. 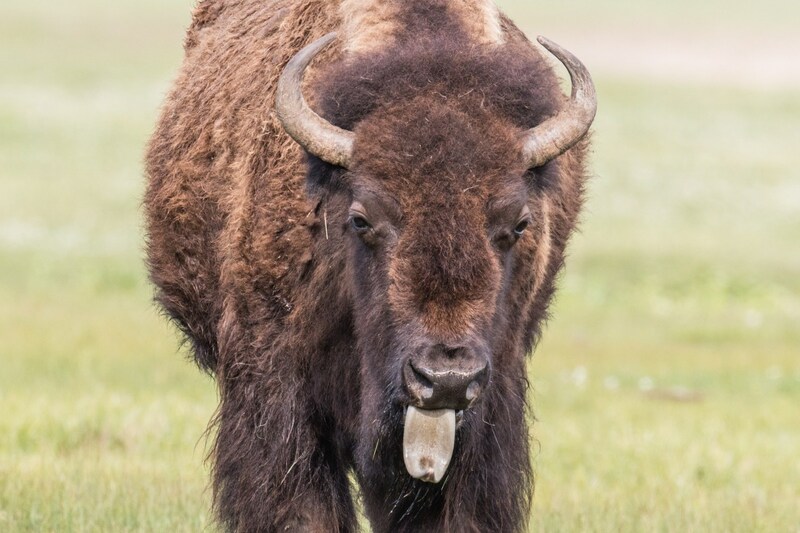 Bison are ruminants with a multiple-chambered stomach that includes microorganisms such as bacteria and protozoa to enable them to effectively digest plant material. They alternate between eating and ruminating, which is regurgitating partially digested food and chewing it again, to allow microorganisms to further break down plant material into volatile fatty acids and other compounds. Their large digestive tract allows them to digest lower quality foods with greater efficiency than other ungulates such as cattle, deer, or elk. 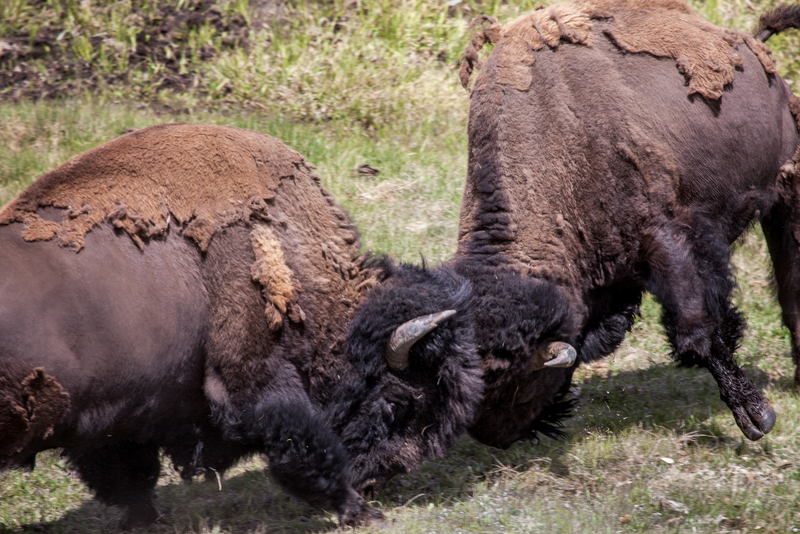 Bison have two large predators to be concerned with. Wolves and Grizzly can, and will, attack to which Bison defend themselves as a group, making them more difficult to kill than animals like elk who’s strategy is to run away. Yellowstone bison are exceptional. Unlike most other herds this population has thousands of individuals that are allowed to roam relatively freely over the enormous expanse of protected habitat. This herd exhibits wild behavior similar to their ancestors, congregating during the breeding season to compete for mates as well as migration and exploration that result in the use of new habitat areas. These behaviors have enabled the successful restoration of a population that was on the brink of extinction just over a century ago. We have all seen images of the great Bison. Whether in film (think Dances With Wolves), or in photographs in magazines and galleries, these massive beasts are simply striking, and are highly sought after by wildlife photographers. 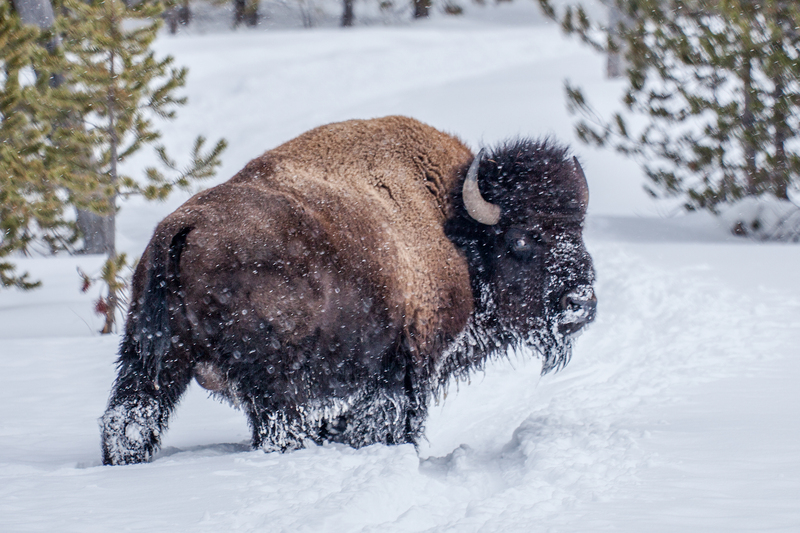 Bison are a big attraction for Backcountry Journeys guests, and trips such as our Yellowstone Wildlife Safari will get you and your camera in the front row for all the action! In fact, bison are a HUGE attraction with grown males weighing in at up to 2,000 lbs. These big guys are the largest land-dwelling mammal in North America. Folks on the upcoming spring tours, which run May 26th – 30th, and again May 31 – June 4th, will be sure to numerous opportunity to see and photograph bison as we search for bison, as well as all of the other famous Yellowstone wildlife, in locations such as the Lamar and Hayden Valleys, as well as the Park’s scenic roadways and off-the-beaten-path backroads from the comforts of our safari vehicle. We’ll also find other iconic wonders of Yellowstone including Old Faithful, Grand Prismatic, as well as the Grand Canyon of the Yellowstone River and Lower Falls from Artists Point. Yellowstone is, without doubt, one of the most diverse and unique natural habitats in the world and is the largest single intact ecosystem in the United States. Wildlife like the great Bison thrives across the Park vastness of the protected natural landscape. It is here in the American Serengeti that the oldest and largest roam plentiful and free, just as they once did across the entire continent of North America. Kenton Krueger grew up and spent the first 33 years of his life in the corn country of Omaha, Nebraska. After studying aviation at the University of Nebraska Omaha’s Aviation Institute, he “conned” his way into the newsroom at the award-winning Omaha World-Herald where for 3+ years he wrote and photographed news articles on a variety of topics such as community events, travel and even mixed martial arts for the sports department. Yet something was missing. While on backpacking trips to Grand Teton and Grand Canyon National Parks in the mid-2000’s he was quick to realize that the wild lands of the western United States stoked a fire in his heart as nothing else could. This realization led to a relocation to Flagstaff, Arizona, and he hasn’t looked back. He has spent the past several years guiding backpackers, hikers and photographers into the wild places of the American West such as Havasu Falls, Grand Canyon, and Yellowstone National Parks as well as in the Grand Staircase Escalante in southern Utah. In addition to backpacking and camping, his adventures include rock climbing, exploring the slot canyons of southern Utah, mountain biking, and bagging 14ers in Colorado’s San Juan Mountain Mountain Range. 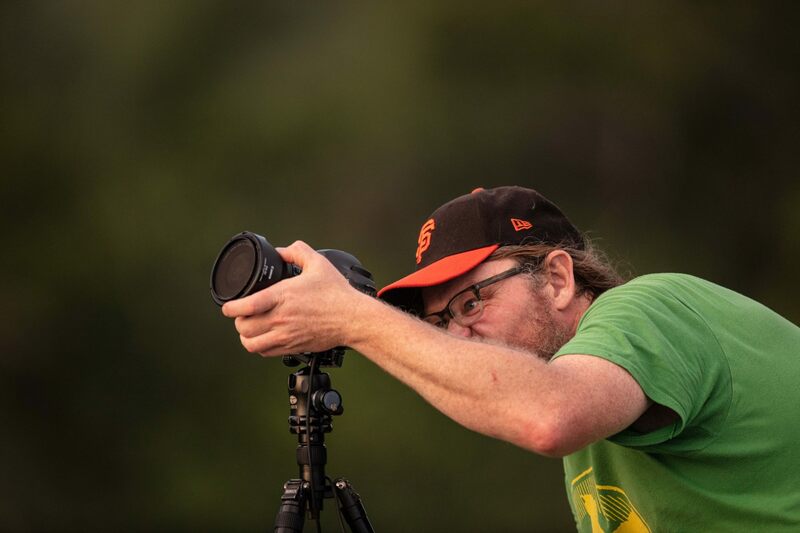 Kenton is a trail runner, a former pilot, newspaper photographer, and writer. Kenton looks forward to utilizing his years of guiding experience, combined with his passion and experience behind the lens to provide memorable and unforgettable experiences at the wild places we will visit together.